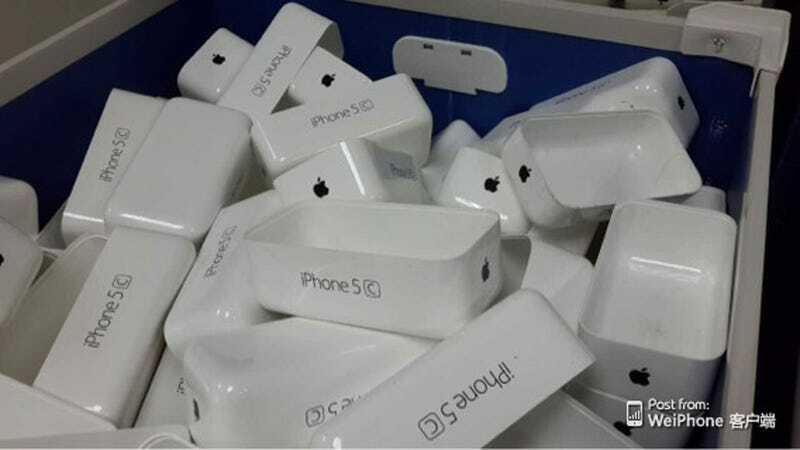 This image from Chinese blog WeiPhone looks like a bunch of Apple packaging in a bin. But folks it's so much more! Oh, no, actually that's exactly what it is. No one has been able to legitimize the photo yet, and it could just show some knockoff packaging, but the nomenclature makes sense at least. If the aluminum body upgrade that seems probable for September/October is called the 5S, a cheaper plastic model (also heavily rumored) could be called the 5C where C stands for "color". . . or something. Is This What a Cheaper iPhone&apos;s Shell Will Look Like?